Wix and iPage are both popular hosting companies. To be fair, Wix is a hosting company AND a content management system (CMS), so this is not an apples to apples comparison. Wix’s CMS is not my favorite CMS, but iPage has a parent company that I’m…not a fan of. Hi. 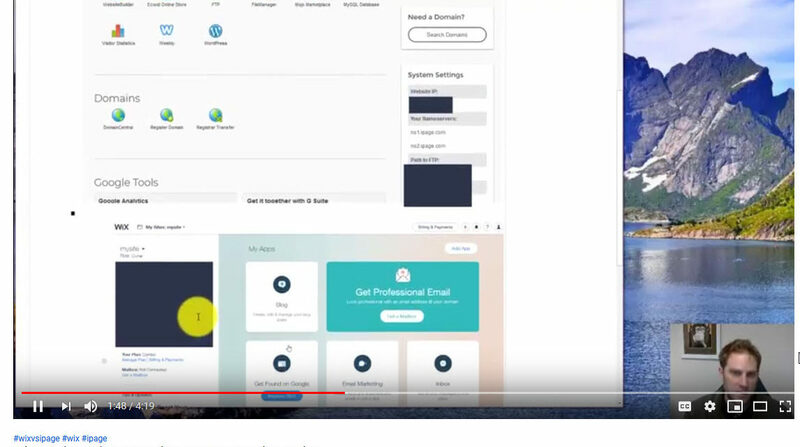 David, here, from mybesthostingreview.com, and this video is about Wix Hosting versus iPage. 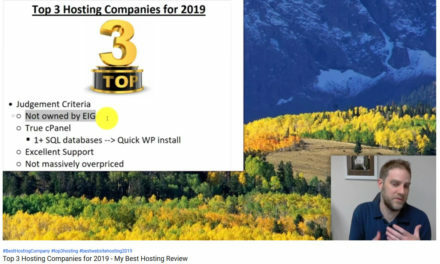 I have used over 100 hosting companies, and I’ve used iPage for about 3.5 years, three and a half years, and Wix about two years off and on. 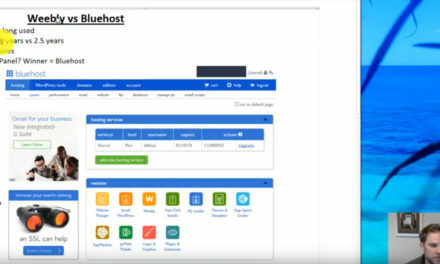 And the main feature that I look for in a host is a C-panel. Now, some hosts have a C-panel, or they call it C-panel, but it’s not really a C-panel, like a classic C-panel that really gives you all of the features that you need. And it’s not like you need a lot. What’s great about the C-panel is, it’s not like you need a lot of technical experience to really be able to do some of the highly technical things. But, iPage is the winner, here. But they just still don’t have the best C-panel. I don’t know why companies do this, but they kinda remake the C-panel, and they change it up to have kind of their own flavor to it, and that’s what iPage has done, which is better than what Wix’s is, because with Wix, you don’t get any C-panel. You don’t get any backend access, and there’s some really big negative ramifications for that. At the same time, it’s better for a beginner at first, but ultimately it still hurts you. In terms of getting a website up as quickly as possible, with no experience, Wix is definitely gonna be better. But ultimately, you’re gonna want a C-panel that makes it easier to hire someone to help you. While the support is better with Wix, as which we’ll talk about in a second. So this is what it looks like on the backend of iPage. And Wix is … It’s not really fair to compare iPage to Wix. iPage is a hosting company. Wix is a hosting company and a content management system. The common content management system that you would use if you were with iPage would WordPress, which is much better than Wix is. Content management system, while you could probably get up and running a little bit quicker, again, as a complete beginner with Wix. With any sort of knowledge at all, WordPress is actually faster and ultimately will save you time and resources to be able to use WordPress. WordPress is far superior. There’s a lot of plug-ins, free plug-ins that people have made for WordPress that make it … That you just can’t do with Wix, that you can set up in five minutes. There’s a lot more support in terms of hiring your own for WordPress, but Wix does have good support to offset that, so that’s one of the benefits of Wix. I personally would never choose Wix, and which is why … WordPress compatibility, this is super important to me. Some hosts, surprisingly, don’t have WordPress compatibility. And so iPage is of a much bigger … That’s much better for iPage. So I would prefer iPage from that perspective. The support, Wix definitely has better support. I’m gonna talk a little bit about why iPage’s support is not that good. Pricing and offers, iPage is not bad. I mean, $35.00 for the first year is really good. $120.00 per year after that is not good, but at least the first year is pretty good. And I think if you do … Let’s go here. If you do three years, you get three years for $72.00. That’s actually pretty good. And that’s cheaper than some will do for one year. So I would say that’s a pretty strong winner for iPage, ’cause the first year is what matters the most. And even if you do three years, it’s still gonna be less than Wix. They both give you a free domain registration, that’s really common with the hosting companies. And this is where … EIG is a company. I can’t remember what it stands for, but they’re a company that buys hosting companies and they strip their support in order to make them more profitable. And they have bought iPage. So I would never recommend a hosting company that was bought by EIG. Wix is not owned be EIG, so from that perspective, I’d rather go with Wix, even though I think they’re overpriced and you can’t get WordPress, which is why my recommendation is neither. ‘Cause I would never recommend EIG, and I would never recommend a host that doesn’t enable you to do WordPress. If you want to know which host I would recommend, my favorite one, after using over 100 hosts, click the link below and it goes to a description of what hosting company I like and why I like them. Thanks for watching. Please let me know if you have any questions or comments, or you think there’s anything wrong here, feel free to let me know. And thanks for watching. Have a great day. Bye.